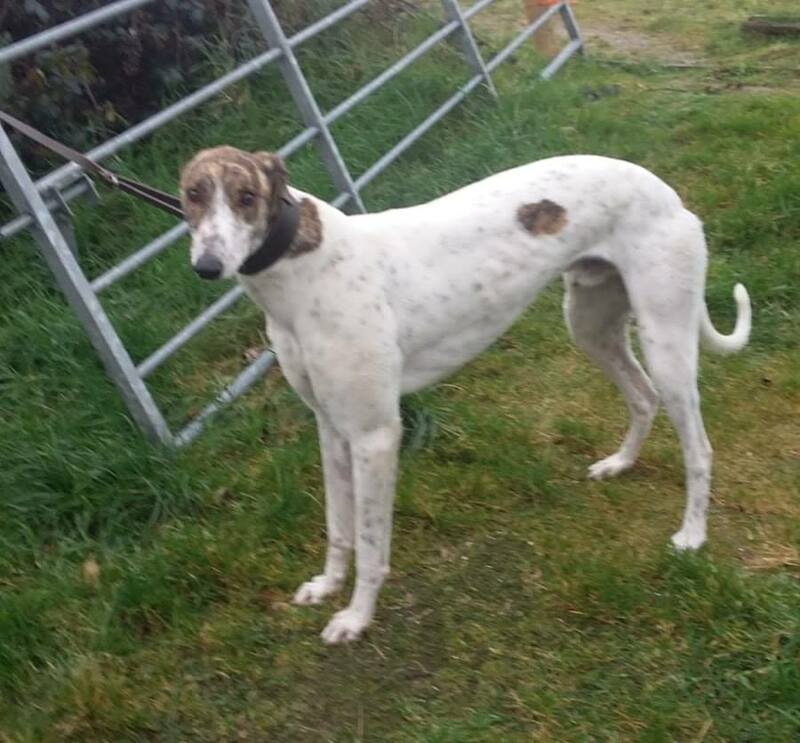 Spot is a lovely white greyhound with a big brindle spot! 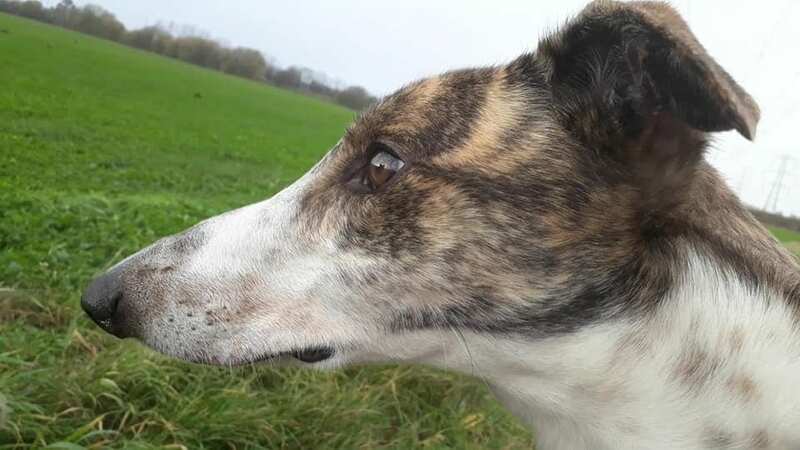 Spot is a handsome and gentle greyhound boy that is looking for his forever home. He walks really nicely on the lead and just takes life in his stride. He would love to live with a family that just wants a nice steady dog to join them on nice walks and enjoy all the complements and fuss that comes with being a big handsome hound. He is in great condition and is just ready to find a special someone to love. He has a very calm character and it is likely he can be left for 4-5 hrs provided he has plenty of exercise. He can live with other dogs but we think he will be happy to be an only dog too. Spot was registered to race but he has done nothing. 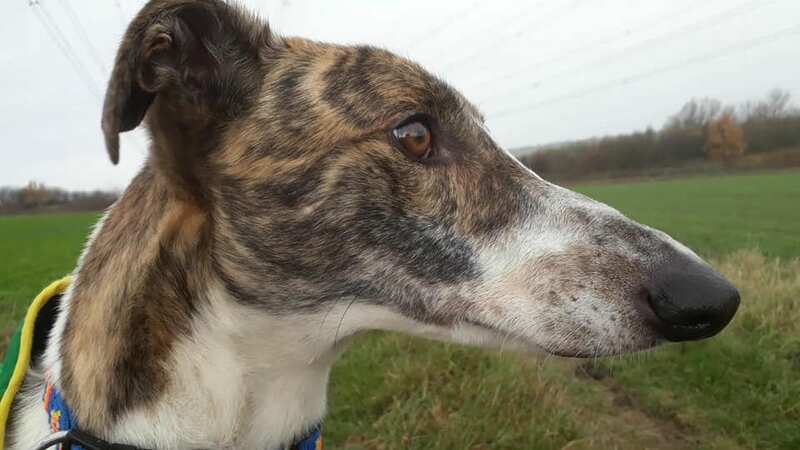 You do need to be more patient with the young greyhounds – they have often just been locked away in a kennel doing nothing so have very little experience of life – but it is good fun and very rewarding to teach them. Spot is cat workable if you follow our guidance on cat and dog introductions – please note we do not rehome cat workable dog to homes with young families. Spot has a pet passport. If you have children, please read our section on children and hounds.